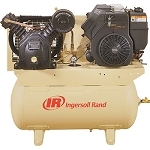 The compressor package is complete with a one (1) year complete warranty on the package and the pump is covered by a two (2) year pump warranty with the purchase of a start up kit. 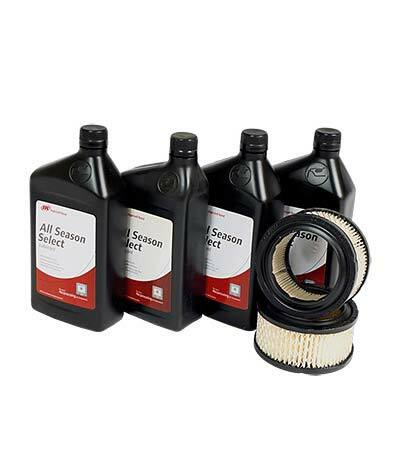 Start Up Kit: Each kit is complete with enough Ingersoll Rand synthetic oil to perform two (2) oil changes and also contains two (2) replacement inlet air filter elements specific for these models. 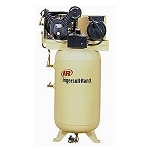 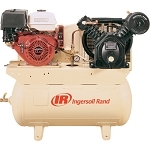 Coupon Codes do not apply for Ingersoll Rand products.